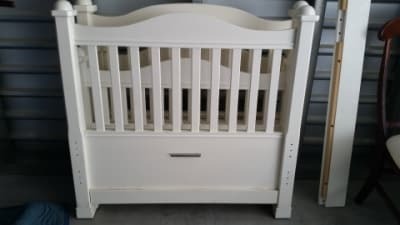 White high-low dresser for sale. Good condition. 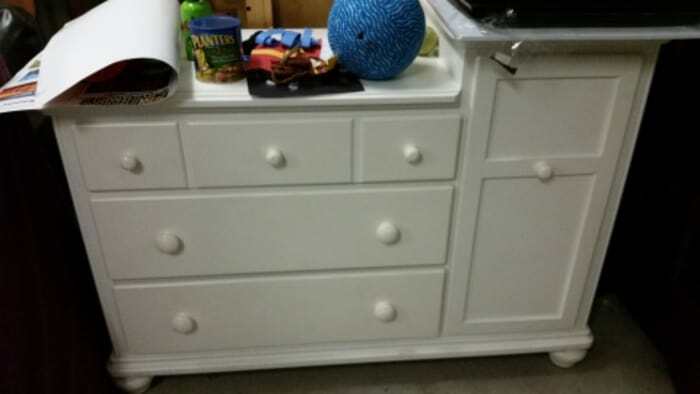 Super convenient since it combines a dresser with a changing table. All you need is the changing pad for the top of the dresser!